A lot of graphics have disappeared from reviews. Don't ask me why! Probably something to do with the ridiculous Google + that I foolishly looked into. I can upload them again but this is very time taking. Most of the photos are still in a Picasa web album and can be reposted so, if a photo you note is missing and think it should be re-uploaded please let me know. PS: However, don't let this minor activity deter you from the main purpose of the weekend which is to vote for BSH in the APPJA then to lobby your MP (check out the nearest JDW pub) and threaten to chain yourself to the railings of Ronnie Scott's, Jazz Café, Bridge Hotel, Buckingham Palace, or other jazz venues unless justice is seen to be done. You could also plan to throw yourself in front of a tenor player. It doesn't matter who, they are all going for the Fastest Gun in the West award! Most people will know that the American folk singer Pete Seeger died on Monday this week. Not much jazz connection there, I grant you, except that during the early part of his career, Seeger played tenor banjo in a jazz band. However, his music is part of the soundtrack of the lives of many people who were young in the 1950’s and 60’s, and younger people will have heard his music as recorded by others. He wrote Where Have All the Flowers Gone after reading the phrase by chance, and he is well known for such songs as If I Had A Hammer; We Shall Overcome; and This land Is Your Land. Readers may remember that he sung the last mentioned song at the Inauguration of President Obama in 2009. Indeed he contributed greatly to the American Civil Rights movement through his music, and was blacklisted for being a communist in the 1950’s, along with many a jazz musician I would guess, but other readers will know more about this than I do. Perhaps it’s time to give some of his tunes the jazz treatment if this hasn't already happened. If I Had A Hammer, maybe? There’s a very comprehensive obituary online, from the Guardian. Marcos Pin (gtr); Yago Vasquez (pno). Marcos Pin, I'm told, is one of Spain's top jazz guitarists and on the evidence of this disc I see little reason to refute that statement. 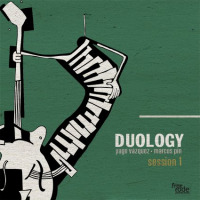 His partner in this the first of what is proposed to be a series of duo sessions, Yago Vasquez, combines with the guitarist to make it a meeting of like minded souls. Pin has a fluency comparable to the great modern jazz guitarists such as Farlow, Raney, Pass, Hall, Ellis etc. Single string angular lines combined with rich chordal patterns make this an absolute delight to listen to. Vasquez, another name unfamiliar to me is the perfect foil and together they support each other and interchange their roles throughout. Drawing upon tried and tested material - Donna Lee; All The Things You Are; You Don't Know What Love is; Blue Monk and Dewey Square - the duo breathe new life into these classic pieces without destroying the essence of the originals. Although I hadn't encountered Marcos Pin prior to this recording he has been on several albums all very different but all well worth checking out. From the little I understand about quantum mechanics, apparently a quantum particle can be in two places at the same time. This would have been a useful special power to have in order to get the most out of the feast of musical delights offered by the JNE and Splinter Jazz Extravaganza. For by having simultaneous sessions in two venues listeners were presented with multiple choices, not to say dilemmas, on an hourly basis: to hear top local musicians in an array of diverse combinations or new names from outside the region (plus mystery guests!). And what a wonderful extravagance it was to have two jazz venues, within a trumpet's blast of each other, packed full of top musicians, going on at the same time. Having memories of a storming gig a while back at the Corner House I decided to start with the Spillett/Anderson/ Edis Trio at the Jazz Cafe. Unfortunately Simon Spillett was unwell but even though they were new playing acquaintances, Matt Anderson and the Trio quickly got into a groove and played a very good set. Tue 11th Feb - PARR Jazz, Liverpool. Harrison has appeared several times at Splinter gigs, Jamie Taylor has an excellent CD doing the rounds, David Lyttle - Irish Jazz Musician of the Year - and Chaplin is up there in the top echelon of double bassists. Sounds like it may be worth a listen. Only a week before Gregory Porter plays his sell-out gig at Hoochie there is a rare Newcastle appearance at the same venue by outstanding British pianist Jason Rebello on March 7. Rebello who, over the years (he's still only 44! ), has appeared with Wayne Shorter, Gary Burton, Sting and many others was last here in 2013 with Madeleine Peyroux at Sage Gateshead. The above only hints at Rebello's diversity. Jazz, Soul, Latin, Funk are all in his bag with perhaps a few surprises. I'm not yet sure who's in his band but you can bet your life there'll be no passengers on stage. To hear him in the intimacy of Hoochie is an opportunity not to be missed and for a mere £10 is surely the Sale of the Century! Put it in your diary now! 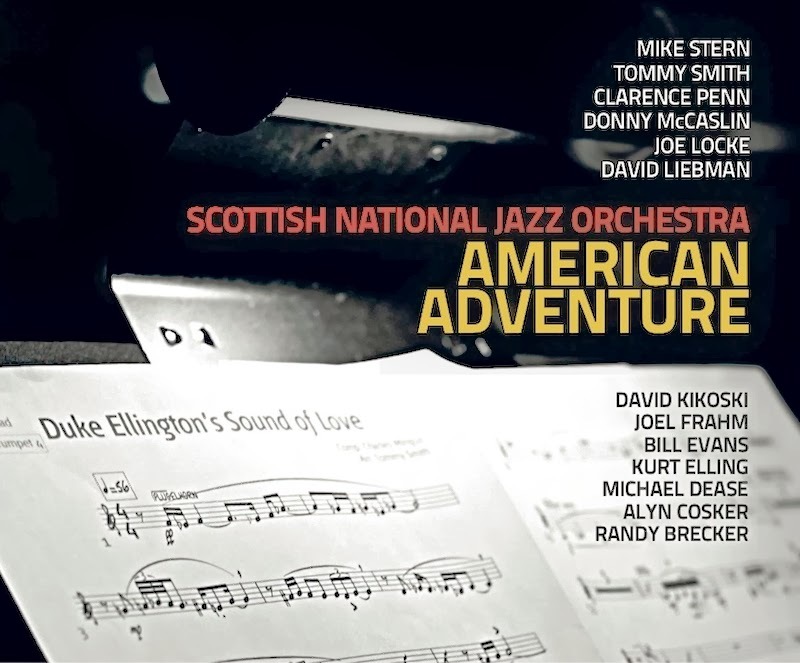 Scottish National Jazz Orchestra led by Tommy Smith + Mike Stern (gtr); Kurt Elling (vcl); Joe Locke (vbs); Donny McCaslin (fl/ten); Dacid Kikoski (pno); David Liebman (sop); Randy Brecker (tpt); Bill Evans (ten); Michael Dease (tmb); Joel Frahm (ten); Clarence Penn (dms). Gregory Porter has picked up the Jazz Vocal Album at this year's Grammy's with Liquid Spirit. And the good news is he's at Hoochie Coochie on March 14. The bad news is it's SOLD OUT! All the Jazz Grammy awards. 2014 begins in bold style for The Scottish National Jazz Orchestra (SNJO) with yet another adventurous collaboration – this time with the world’s foremost jazz vocalist, Kurt Elling. Together they present Syntopicon, a concert exploring life’s philosophies through music. 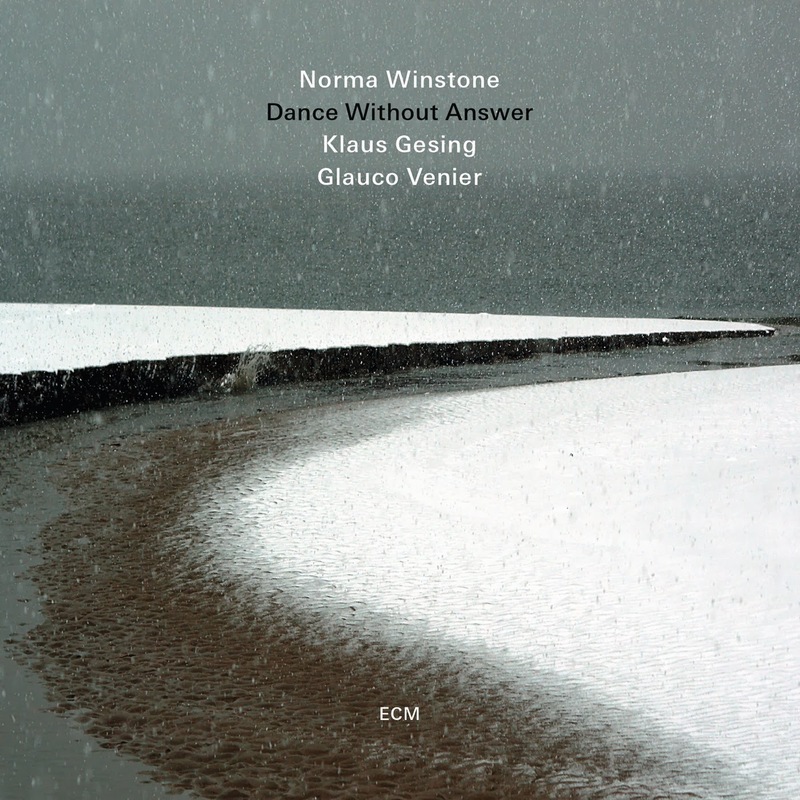 This unique trio have worked together for more than a decade, and their strong musical bonds are evident in the newly released 4th album Dance Without Answer, recorded in December 2012 in Lugano, Italy. The first and title track builds with the rounded tones of Gesing’s bass clarinet contrasting with the light touch of Venier on piano and Winstone provides a typically considered lyric to this and several other compositions. A day of many highs and only one low. Set in two venues within walking distance of each other Jazz North East presented 16 different line-ups in an attempt to fill the coffers left bare by the lamentable decision of the "Arts Council" to withdraw funding. The artists gave their services free and it is to be hoped the event was a financial success as well as an artistic one. Both venues were never less than near full with audiences moving back and forth between the two according to their stylistic preferences. Split evenly between straight ahead jazz and the current improv scene - several artists such as Jason Yarde, Corey Mwamba, Andy Champion and John Pope were at home in both genres - the programming avoided clashes between the two. 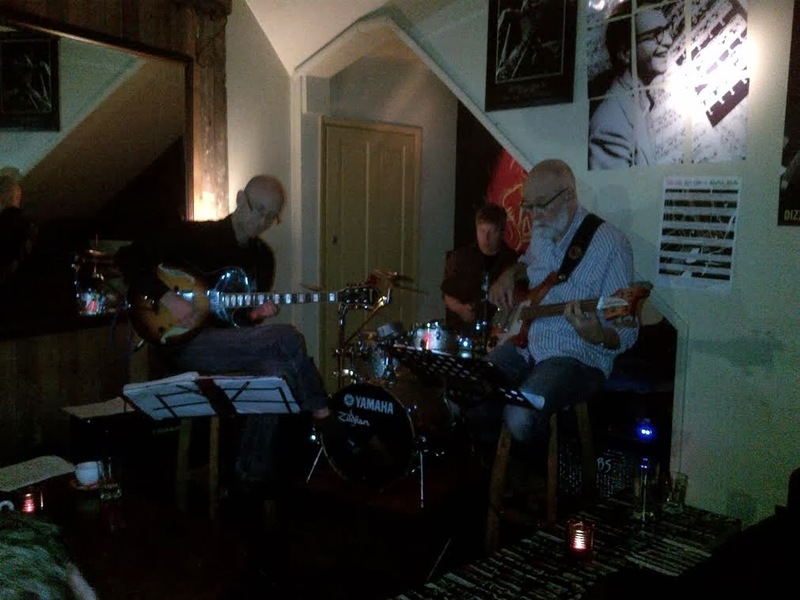 Steve Glendinning Trio– Salsa Café - January 25. Steve Glendinning (gtr), Mike Clarke (bass), Mark Robertson (dms), guest appearance Ray Burns (harmonica). After a few weeks of absence from the Salsa Café Saturday nights, I once again ventured forth. On arrival about 2/3rd of the tables were taken by diners, but my usual table had been kept free for me and I was soon joined by a couple of jazz enthusiast friends Oliver from Blue Jazz Voices and Elton from the Pink Lane Co-Op Jazz workshops, so it turned out to be a convivial night of Jazz and nachos. Freddie Hubbard’s Red Clay to Donald Byrd’s The Emperor marked out the territory Graham Hardy & co would cover at this Jazz Café gig. A round of solos warmed the digits on the opening number. Trumpeter Hardy’s compositions stand comparison in a crowded funk market; Wild Monkey Dance (perfect material for Horn Dogs or the pup Northern Monkey Brass Band) hit a groove as Neil Harland’s constantly shifting bass lines kept the audience/band guessing. Shuddering reggae rhythms wove in and out of funking glorious inventions. 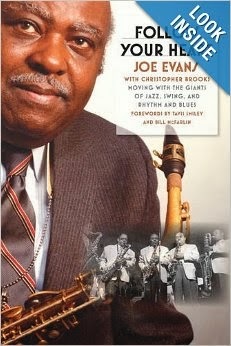 Saxophonist Joe Evans who died on January 17 aged 97 may never have been a jazz household name despite working from the '40s to the '60s with the likes of Lionel Hampton, Dizzy Gillespie, Cab Calloway and many other swing and bebop legends. This is understandable as he left music in 1965. He did, however, recount that era to great effect in his 2008 autobiography Follow Your Heart (University of Illinois Press) written in conjunction with Christopher Brooks. It is well worth chasing down. Saxophonics at the Jazz Café. The dedicated few up front, the chattering classes at the back. Intoxicated or cloth-eared, it is difficult to understand how anyone can’t sit with rapt attention when Saxophonics take to the stand. A pad of originals, classic numbers arranged and in some cases painstakingly transcribed, the Tyneside based saxophone quartet are up there with the best of them. New York to Camarillo to Blyth to the wine bar, Saxophonics traverse the chamber jazz globe reaching for the stars (make that the moon). Small in number, the sound is often that of a roaring large ensemble. Please come to say a fond farewell to John. As Susie still does not have access to all John's contacts please let EVERYONE know to come by forwarding details to those who are not on facebook. John died suddenly on 20th January, aged 42 years, John Richard, beautiful husband of Susie, devoted Daddy of Lydia and Eleanor and beloved brother of Dianne. He will be sadly missed by all the family. Friends please meet for an affectionate farewell at St. James' Church, Morpeth on Friday 31st January at 9.30am (parking may be difficult so please try to get there before 9.15). Family flowers only. Donations may be given towards Diabetes UK c/o Peter Grenfell Funeral Directors, Westfield House, Morpeth Rd, Ashington, NE63 8PR. Susie and family would dearly love to see you all after the ceremony at Longhirst Hall Hotel, Longhirst, Morpeth, NE61 3LL. Triplestix on Concourse @ Sage Gateshead. January 24. Matt Spence (gtr); Chris Carvel (keys); John Allen (dms); Katie Trigger (bs. gtr). Who are Triplestix? The combined wisdom of myself, Russell and Paul Bream had failed to solve the mystery. Google mentioned that "Triplestiicks" are an ethnic percussion instrument which led me to believe that our own Ann Alex, fresh from her African drumming lesson, had maybe formed her own band! But no, upon arriving at Sage Gateshead and settling down on the concourse with a glass of House White - I know why it's called "House White" as you could put a deposit down on the White House for little more than the price of a glass! (Exaggeration!) - there was Katie Trigger. Katie stood centre stage, Fender bass slung low like a gunslinger's Colt 45 ready to shoot from the hip or - to the hip! On guitar, Matt Spence made me wonder just how many more great jazz guitarists we have in the north-east because I've just discovered another one! 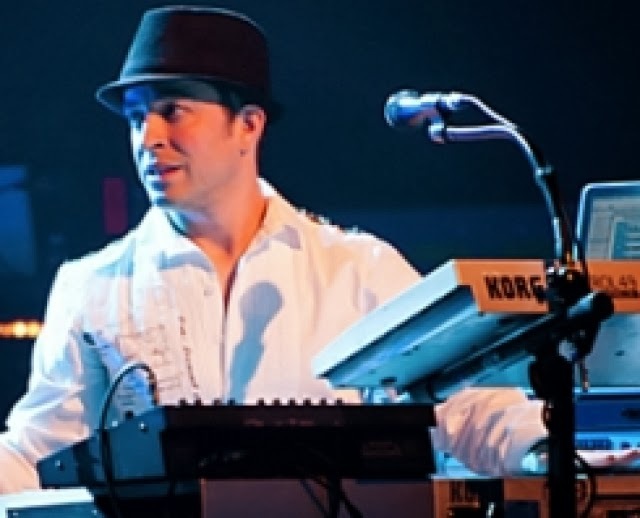 Chris Carvel played some funky keyboard stuff and drummer Allen drove it like the next stop was Detroit. It was a cracking first set (I had to leave before the second) that featured many goodies. Watermelon Man, Mr. PC (great intro by Katie), Mercy Mercy Mercy and St. Thomas (twice in one day for St. Thomas!). There were others but these were the titles I noted. The piano is without doubt the king of instruments. No need for bass and drums when you've got a well tuned baby grand - particularly when it's played by Dean Stockdale. A slightly smaller in numbers crowd than usual (where were JNE? This would have been an ideal gig to promote this weekend's fundraiser) who were treated to a delightful hour of music with a capital J. You too could sound like Hannabiell and Midnight Blue (at least a bit!) if you took up African Percussion, which is a course offered by Sage Gateshead in Gateshead Old Town Hall (GOTH) on Wednesday afternoons, as part of the Silver Programme. I’ve thoroughly enjoyed the first 2 weeks of term 2, when we’ve been playing African hand drums, which are known as Djembes. These drums are from West Africa and come in various sizes, so every drum is pitched slightly different. Djembes produces 3 different tones, according to whether you play with the fingertips on the rim; with all the fingers further in; or with the whole hand in the middle of the drum. Jam Session @ Salsa Café, Newcastle, January 19. It’s Sunday; it’s raining; there’s netball on the sports channel; omnibus soap operas on BBC. You could get stuck into the DIY and score a few points, snooze on the sofa, go to Eldon Square or the Metro centre, OR you could come along to the Salsa Café, bring the kids, and relax with a drink and something to eat and listen to some cool jazz. Sunday gone was the day for a really entertaining session with new players arriving and a solid rhythm section providing the foundations. Kay Usher brought her electric violin along and kicked off proceedings with an entertaining performance of Honeysuckle Rose. Husband John Usher adding to the ensemble with some tasteful guitar. This was followed by Moonlight in Vermont and Lady be Good. Sad to report the death, suddenly, of Stan Nicholson. Stan played lead guitar with Rowlands Gill Based group the Silver Dollars who had a minor success with a single - Rainbow - back in 1965. More recently, Stan switched to bass guitar and could be heard with Mick Hill (later Miles Watson) and the Jazz Esquires at the Porthole, North Shields. In the photo, taken in 2012, Stan is sitting below the mirror. Stanley Nicholson's funeral is on Monday January 27. 11.15am at Newcastle's West Rd. Crematorium. John Wheeler, (Pimptones; Horn Dogs etc.) north east sax man dead? really sad news. Can't get my head around this! First heard John at a Ruth Lambert/Paul Edis gig at the Egypt Cottage. I think he was just sitting in but I was immediately taken with his playing and I asked myself, "Where has this guy been hiding?" Last time I heard John was, I think, with the Pimptones or maybe Charles Gordon at Hoochie. He blew up a storm on both gigs. This was a couple of years ago. I seem to recall he mentioned going into hospital for something or other back then. What I do remember is getting an email from him the next day thanking me for my review. But, I guess, that's the kind of guy John was. Died yesterday of a heart attack, suddenly. Aged 40/41? Tim Kliphuis (vln); Nigel Clark (gtr); Roy Percy (bs). A few years back, at the Saville Exchange, North Shields - remember those wonderful sessions the late Mike Durham organised there and the top class musicians he brought to the historic building? Ken Peplowski, Marty Grosz and Daryl Sherman to mention but a few. Oh yes, and there was a Dutch violinist - Tim Kliphuis, in the company of Keith Stephen, Roly Veitch and Bruce Rollo. I remember it well, the man from Holland swung it like the man from Paris! 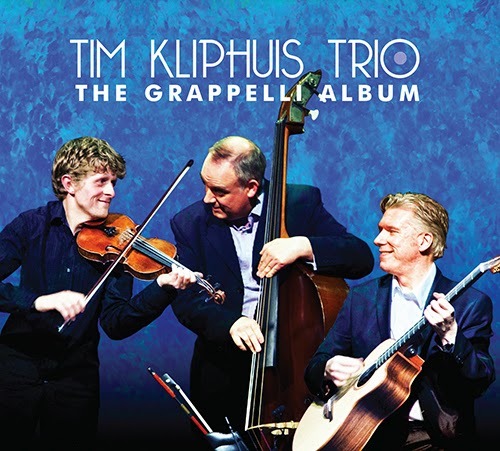 Let me tell you he does it again here - Grappelli Lives! Matt Monro. One Morning In May. ( Live At The BBC ). 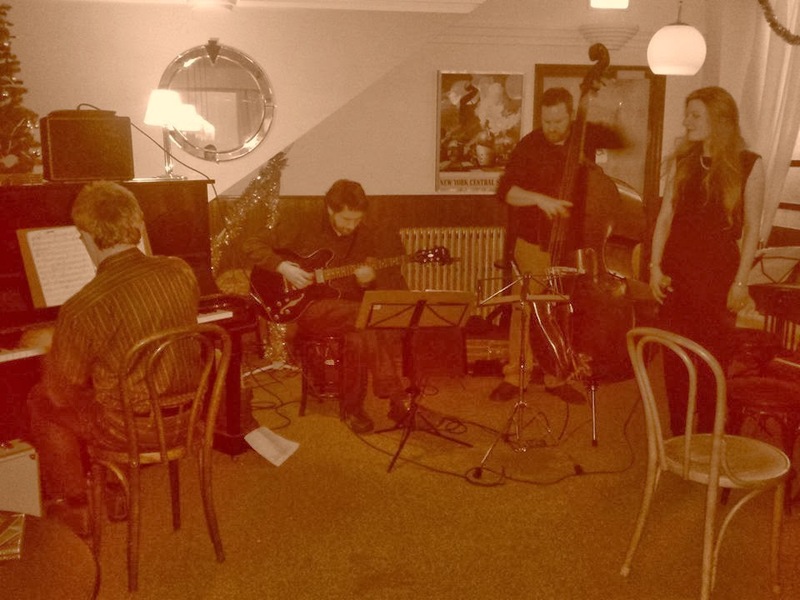 Steve Glendinning Quartet @ The Bridge Hotel, Newcastle. January 19. Steve Glendinning (gtr); Chris Jelly (vbs); Mike Clarke (bs gtr); Mark Robertson (dms). Over the years I've heard most of the masters of the vibraphone - Red Norvo, Lionel Hampton, Milt Jackson, Terry Gibbs, Victor Feldman, Tubby Hayes, Bill le Sage, Gary Burton, Bobby Hutcherson, Jim Hart, Corey Mwamba (in Newcastle next week for the JNE Fundraiser) and now Chris Jelly can be added to that list. Elly Kouri, (vocals) David Pearl (piano) Dan Martin (bass) Rodney Harrison (drums) Michael McGinnis (clarinet). 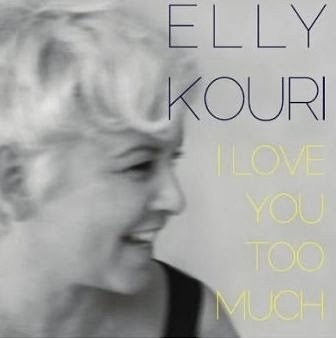 Elly Kouri started out as a rock singer but has lately turned to jazz and recently released her first Jazz CD "I Love You Too Much" (available on Amazon as CD or MP3 download). Elly has brought together a collection of beautiful and intimate songs exhibiting several aspects of love including soothing reminiscence, heartbreak, hope and just a spark of fire! Ex Extreme @ The Jazz Café – January 17. Pete Tanton (Trumpet/Flugelhorn)/ Stuart Collingwood (Piano); Steve Walls (Drums); Stuart Davies (Electric Bass). This evening was to be one of fabulous original music interspersed with the odd standard for good measure. Pete Tanton started the evening on flugelhorn, before moving to Trumpet for a few numbers. Stuart Collingwood… well what can I say… fabulous fingers and you wouldn’t expect anything less with over 30 years at the keys! Bassist Stuart Davies exhibited skill and there was a lovely communication between band members, with the steady and at times stupendous drumming of Steve Walls. Javier Vercher (ten/perc); Ferenc Nemeth (perc) + David Kikoski (pno 4 tracks). 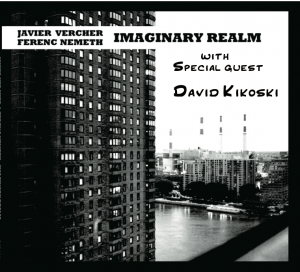 Spanish born tenor saxophonist Javier Vercher and Hungarian born percussionist Ferenc Nemeth team up to produce their second album in six years. The duo become a trio with the addition of Pianist David Kikoski who guests on 4 of the tracks. The album opens with a short intro Silent Stones wonderful interplay between Sax and percussion conjure up a dreamy tropical ambiance. Kikoski leads out the title track Imaginary Realm , saxophone and percussion then combine in a gentle almost classical atmospheric manner. Baghdaddies @ Hoochie Coochie January 17. Nigel Kirkpatrick (tpt/vcl); Paul Ruddick (alt/vcl); Ziad Jabero (gtr/vcl/tmb); Paul Susans (bs gtr/vcls); Martin Douglas (dms/vcl). The Baghdaddies are a zany, totally mad, quintet. They sell excitement, they sell fun and they can play - boy can they play! Hoochie was crowded and so was the dance floor as bodies younger than mine gyrated in a manner akin to the more energetic Dervishes. As it was, my adrenalin was pumping somewhat faster than it does at most jazz gigs and this was a jazz gig even if the material was pseudo Balkan, mixed in with some Ska, Rock and Latin including a most unusual version of Keep Your Feet Still Geordie Hinny sung in "Albanian" over a South American rhythm. However, amid all the hokum, it is Ruddick's searing alto blasts, Kirkpatrick's "no prisoners taken today" trumpeting, Jabero's guitar gusts, Susans' solid bass work with a few twirls thrown in (wonder he didn't tie himself up with the lead!) and Douglas' dynamic drum display that I took home with me. 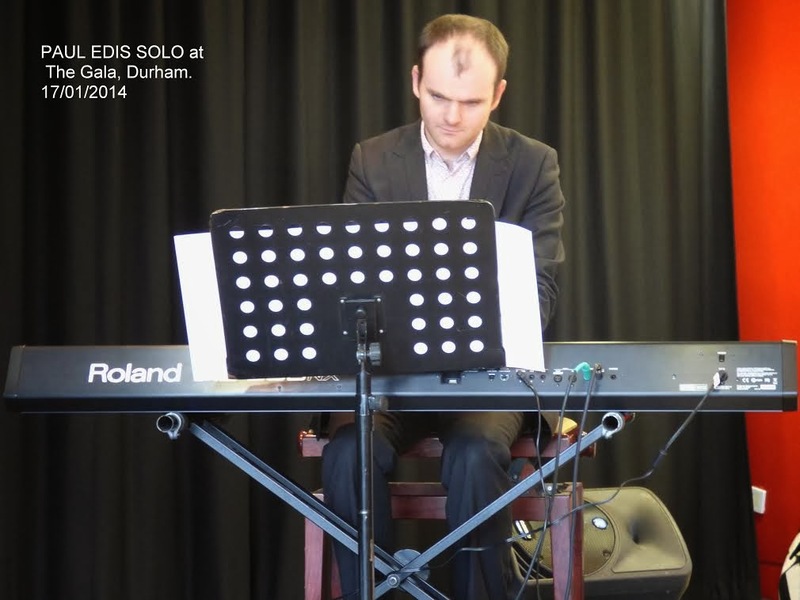 Paul Edis, solo @ Gala Theatre, Durham. Suffice to say the program was shrewdly selected to mix old and new and to showcase Paul as composer, arranger and performer. He was on form and the full-house loved it! This latest Gala season got off to a flying start. People wishing to come for future gigs would be advised to book ahead: capacity is 100 and folks were turned away today! 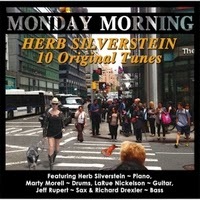 CD Review: Herb Silverstein - Monday Morning. Herb Silverstein (pno); Jeff Rupert (ten); LaRue Nickelson (gtr); Richard Drexler (bs); Marty Morell (dms). This is my first encounter with Herb Silverstein which is surprising as, apart from being a jazz pianist he is also, the blurb tells me, a doctor, ear surgeon, inventor, author and philanthropist. Founder of the Silverstein Institute and the Ear Research Foundation, Silverstein is also an avid skier and athlete - when, one wonders, did he ever find time to practice! That he did is evident in this delightful album of original compositions expertly interpreted by his sidekicks. "... Porter, whose album Liquid Spirit (Blue Note) was released on Sept. 17, topped two categories in the 2013 DownBeat Critics Poll: Rising Star–Jazz Artist and Rising Star–Male Vocalist." Jazz Musician: Viable Career or Enjoyable Hobby? Peter Bacon on the Birmingham based blog The Jazz Breakfast posed the above question, expounded at length here. On Sunday January 26 there's a fundraising event for Jazz North East with 16 different ensembles performing at either the Bridge or the Jazz Cafe. Full details here. We expect that many of our members will want to support this and some of them are performing. So we've decided to cancel the jam session at Salsa for this Sunday only so that there is no clash. We believe it's important for jazz organisations to work together. Hello there. Its been a little while and I thought you might all wish to brought up to date. The big news was the release of my album "Twelve Stories" We had an album launch night and tour throughout December. Sunday 1st December 2013 was the night. After weeks/months of preparation, my album launch night had finally arrived. Thankfully the albums had arrived some weeks prior. There had been a small but effective media frenzy. In the lead up to the release, there was a couple of interview and a some press exposure. It was apparently one of the most read posts on the site for 2013! Okay so he wasn't a jazzman but he was one helluva rock & roll piano player and, as he came from the north-east, his passing on January 13 is most worthy of mention. Freddie "Fingers" Lee was 76. All day pass inc. both venues £15 ---- Afternoon or evening pass inc. both venues £10. 9:00pm Paul Edis & Friends More Mwamba Mashup! This weeks Jam, which is organised by the Pink Lane Jazz Co-op, was probably the most successful yet. Not only were there a fair number of musicians playing solid jazz, there were many diners, with families and people in for a quiet drink or coffee, and indeed one or two escapees from the match! There was at least one Man. City fan! What better thing to do on a winter Sunday afternoon but chill out with a meal and a glass of wine and listen to jazz! Once again Warren reminds us that he has a bit of jazz in his soul - witness some of the forthcoming events at Hoochie Coochie. 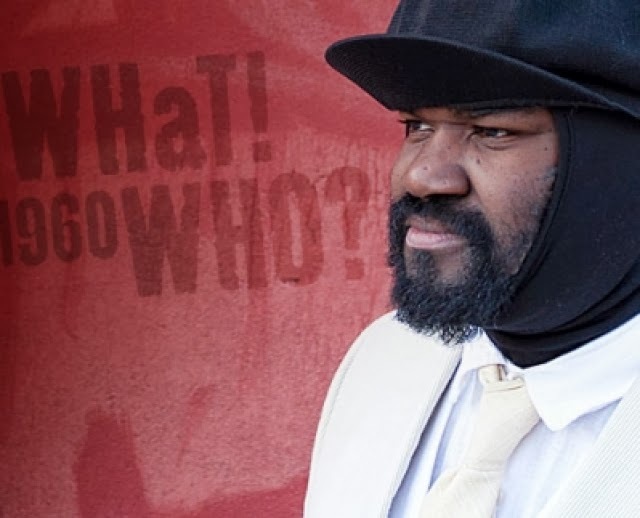 The SOLD OUT visit of GREGORY PORTER on March 14 has been well publicised and is surely the North East Jazz Scoop of the year - and without a subsidy in sight! However, that isn't the only one. Seven days earlier, master keyboardist JASON REBELLO, recently heard at Sage Gateshead with Madeleine Peyroux, will be on stage at Hoochie and it will only cost you a "Prez" (a "tenner"!) so put March 7 down in your diary. On March 21 there is another bargain - RAY HARRIS - fusion for a fiver! Jazz in Yorkshire has gone to be replaced by a number of related sites such as NorVol Jazz - described as "The Best Place For Promoting Yourself in the North (sic).". Northern Jazz Live - "Norvol Jazz's new blog." and Jazz North who are "Building a new jazz delivery model based on collective partnerships". So, you pays your money and you takes your choice - things are simpler north of the Tees! Our favourite is NorVol Jazz which networks and acknowledges Bebop Spoken Here posts - Thank you Steve Crocker. PS: And yes, there is also Jazz in York which John Marley drew my attention to last year. James Birkett is a master jazz guitarist with a national reputation both as player and music educator. He joins with Blaydon's own jazz guitarist/singer Roly Veitch with his trio, for an evening of American Songbook gems. Mo Scott (vcl); Stuart Collingwood (keys); Paul Smith (dms). The upstairs jazz room was sparsely populated. Why? I don't know. There are few singers who can deliver like Mo and even fewer keymen who can turn on the Jimmy Smith like Stu. Throw a drummer such as Paul into the mix and you've got the recipe. Seems like folks were dining in tonight. Even so, having said that, although the audience barely hit double figures it was still twice the number of folk in the bar downstairs! And this was on a match day when normally you're tripping over black and white scarves. Admittedly they had lost but what happened to drowning your sorrows? Trumpet player Roy Campbell died on January 9 at the relatively young age of 61. I never heard him play but I understand he played on Tyneside in one of the early On The Outside Festivals. Those who heard him spoke enthusiastically. A moving tribute by fellow brassman Taylor Ho Bynum appeared in the New Yorker. Mark Williams (gtr); Paul Susans (bs.gtr); Richard Brown (dms) + Claude Werner (ten). I arrived early and although there were as yet few in attendance the signs were promising. Zoe Gilby's latest CD was playing in the background which was only right and proper as two thirds of tonight's trio were on the CD. Bottles of real ale jostled with the inevitable Peroni and, whilst the walls still need jazzing up a bit, overall the feel was good. As the free admission cut off time (9pm) approached the room filled up and by the time Williams and co hit the deck running there was a respectable sized audience. Loose Ends (Radio 4, 6:15 pm) features Zara McFarlane and Gregory Porter. Later, head on down to the Jazz Café to hear the Mark Williams Trio. There is a bonus in the form of star tenor player Claude Werner sitting in for a couple of numbers as he says farewell to the north east. Along the road at the Mining Institute (next to the Lit & Phil) at 8:00 pm (£6.00.) there is a tasty treat for improv fans. Drummer Roger Turner (recently on Tyneside with Chris Biscoe and John Pope) and saxophonist Urs Leimgruber go by the moniker Pancake Duo. Leimgruber has an impressive track record on the free scene – credits include Marilyn Crispell, Steve Lacy, Joe McPhee, Sunny Murray and Evan Parker. This evening’s support acts include the aforementioned John Pope and Greta Buitkute (voice). Russell. North East youth jazz band Jambone will be performing at The House of Commons next week. Run by Sage Gateshead, Jambone has been invited by the All Party Parliamentary Jazz Appreciation Group (APPJAG) to showcase the UK’s vibrant youth jazz orchestra scene. The APPJAG was set up by over 100 Members of Parliament. The band will perform on Wednesday (January 15) at Portcullis House with guest artist - trombonist, composer and arranger Rick Taylor. The Marquis of Granby near Sunniside, is no longer presenting jazz on Thursday nights. Last Thursday saw the final session by the Maine Street Jazzmen. Refurbishment, new management and an audience that weren't spending enough over the bar combined to make this an unsustainable gig. The Marquis was home to the River City Jazzmen for many years, followed by the Vieux Carré Jazzmen and, for the past few years, the Maine Street Jazzmen. Sadly no more. It's all very well nursing a half of beer during the interval at a concert hall but a pub needs plenty cash coming in over the bar in these difficult times. I sympathise with the band but can also see it from the publican's point of view. This is the Bristol based band’s fourth album. The rhythm section comprises of Portishead drummer Clive Deamer and their sometimes live bass player Jim Barr. Pete Judge on Trumpet and Jake McMurchie on saxophone complete the quartet. There is also a guest appearance by guitarist Adrian Utley - another member of the legendary band named after the town to be found 8 miles west of Bristol. Quiet gently opens up the proceedings with Miles-like trumpet and Theremin-like saxophone playing. Little Ease uses all sorts of electronic wizardry to great aplomb pumping up the action as we move up and down through the gears. Corniche is a fairly gentle tune dominated by Judge’s trumpet with some neat work by the rhythm section. 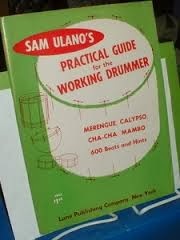 Legendary drummer and educator Sam Ulano died circa January 2 aged 93. Although a much respected drummer Sam is perhaps best remembered for the incredible number of drum instructional manuals he wrote. He literally covered every aspect of drumming including, so I was once told, a chapter on how to avoid paying your cab fare to a gig! One of the characters of the New York (and beyond) scene. Before you attempt to name and shame let's have your name too! I'd just like to remind readers that anonymous posts of a virulent nature will not find a home here.. The 2014 All Party Parliamentary Jazz Appreciation Group Awards - Hit the Campaign Trail with BSH! Entry forms are available on-line at the Jazz Services website, where you can enter your choices for each category. Entry forms are limited to one person/one vote. Zoe Gilby (Vocal) Andy Champion (D.Bass) Mark Williams (Guitar) Guest appearance Stuart Collingwood (Piano). Saturday night and I was out for the evening with some friends, no intention to write-up the gig, so I left my notebook at home…destination The Jazz Café on Pink Lane to see the fabulous Zoe Gilby and Co. It was superb, and I just have to tell you folks if you weren't there, you missed out on a magical evening. And you thought Warren was charging over the top for Gregory Porter? Read this and you'll see he's practically given them away! George Benson tickets sell out in six minutes - Ronnie Scott’s fastest selling show ever! The once-in-a-lifetime opportunity to see one of the greatest legends of jazz, soul and popular music in the intimate surroundings of Ronnie Scott’s sold out to club members within six minutes of going on sale earlier today. The two shows which will take place on 18th June have been the club’s fastest selling shows to date. Ten-time Grammy Award winner George Benson’s career spans 5 decades and over 30 albums. The jazz master has used his jazz roots as the foundation for an engaging mix of pop, R&B and other shades that add up to a style that appeals to a broad mainstream audience. Further to Mike Jamieson's suggestion, in these pages, last week that Jazz Café gigs should start earlier they now start at 9:30pm as opposed to 10pm. Admission has dropped to £4 but is now free before 9pm unless otherwise stated. Please set your watches as it would appear the door staff are quite rigid re the cut-off of the free entry times. First Sunday in the month, lunchtime, the Cluny. The Smokin’ Spitfires. Vocalist Neil Hunter, a survivor from his days with the Eastside Torpedoes, goes further on down the soul road with the tightest of outfits in tow. The Spitfires’ loyal audience knows what to expect and willingly hitches a ride. Papa’s Got a Brand New Bag, Can’t Get Next to You, Soul Man – classic tunes all and nailed first time, every time. Hunter commands attention with his vocal style hewn from the coal face of the north east r & b scene. This gig heard him struggle through with man flu, his keen rapport with the audience aided by a few on stage medicinal beers. Oh, for the days when musicians drank beer – not a bottle of water in sight! Pete Grainger (bs); Peter Ninnin (dms); Stuart McKie/Simon Stephenson (gtr); Grahame Easthope (ten) + Kath Jobes/? (vcl); Ray Burns (hca/vcl); Pete Gilligan (dms). Jam sessions are never consistent. Whether it's the WI debating upon the merits of Mrs Murphy's Marmalade (rumoured to have been bought at Sainsbury's) or Mrs O'Shaughnessy's Blackcurrent (said to contain illegal substances) or the guys and gals socking it to them at the Salsa Café, it has to be said that the products are variable. 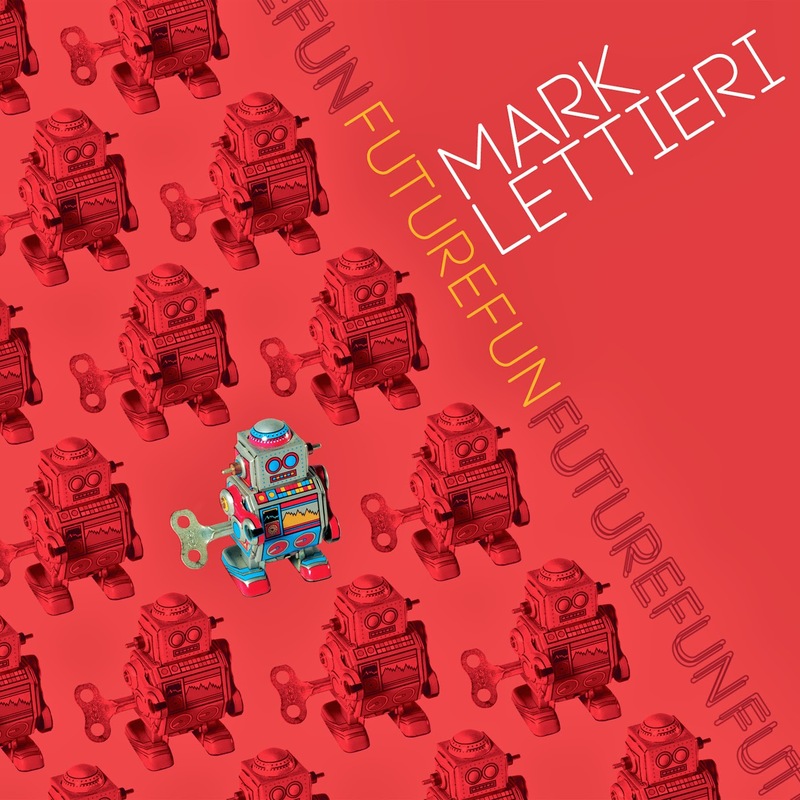 Mark Lettieri is a Texan based guitarist who sites Jimi Hendrix, Joe Satriani and John Schofield as major influences. This short album comprising of 5 tracks sandwiched between an Intro and Outro thankfully lasts no more than half an hour. It seems to be a fusion between 70’s rock and funk with only a cursory assignation to contemporary jazz. 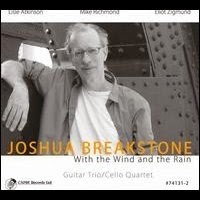 Joshua Breakstone (gtr); Mike Richmond (cello); Lisle Atkinson (bs); Elliot Sigmund (dms). Excellent, lyrical guitar from Breakstone on this, his sixth album for Capri Records. 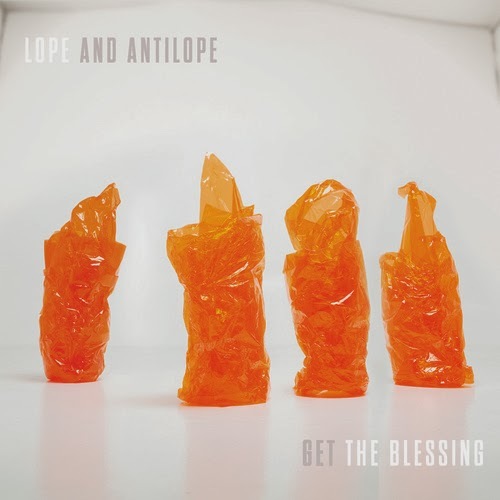 Present day bebop lines that flow smoothly and fluently suggest I will be checking out his earlier releases. Four of the tracks have Mike Richmond on cello making this an unusual line-up and one I feel could have been used to greater effect. Don't get me wrong, Richmond knows his way around the instrument. The guitar/cello unison lines gel and his solos are well constructed. However, the cello solos are all played pizzicato and pizzicato cello doesn't have the same resonance that a plucked double bass has. How I'd have loved to have heard some arco passages to bring out the mellow richness of this, the most sensuous member of the string family. Another all-time great has left us. Al Porcino, famed lead trumpet man with bands such as Woody Herman, Buddy Rich, Stan Kenton and many other name bands, died on January 2 (some reports say NYE) aged 88. As well as the above illustrious names Porcino also led his own big band before moving to Germany in the 1970's where he continued to lead big bands. Mark Toomey (alto saxophone), Jeremy McMurray (piano), Peter Ayton (electric bass) & Kevin O’Neill (drums). The new look Jazz Café in the first week of the new year was always going to be a hard sell. Credit card max out, post festive blues, January is the longest month. Undeterred, the Mark Toomey Quartet made the journey from the Deep South to play a set of Bird-inspired bop, ballads and Toomey originals. The hardy few were treated to a cracking night of top flight jazz. All the Things You Are set the standard and it, the standard, didn’t drop all night. Some people never learn; one should not attempt - not for the first time - to enter by the main door. Oops! Almost sent piano man Roy Gibson flying, positioned, as ever, back to the door, hard up against it. Typical pub gig set-up; pianist against the door, drummer in the bay window, front line seated, partially obscured from view by ill-considered partitioning (ship’s wheel, for some reason). The Cullercoats Brewery was represented on the bar (Shuggy Boat Blonde), so too the rarely seen cask Bass. A good start to the afternoon. Alyn Shipton's Jazz Record Requests remembers Stan Tracey - Today (Jan 4) 5 pm. Radio 3. Also, at 10:30 am today on Radio 4, Jamie Cullum examines the question, something along the lines of - is the piano's popularity waning? Not by any means a jazz programme. The actual Gateshead International Jazz Festival brochure is now out. Pick up a copy at Sage Gateshead or usual outlets. Online version here. North of the border the program for the Fife Jazz Festival can be accessed here. Hope you are all having a good start to the New Year. 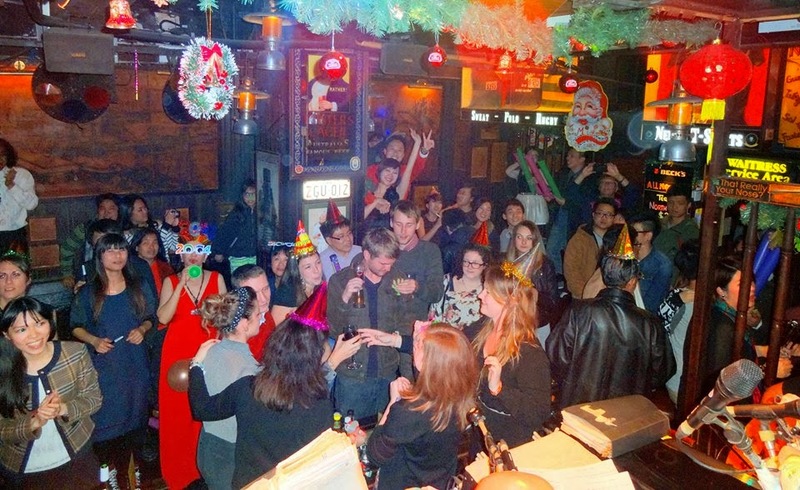 A few people have asked me what is Ned Kelly's like on New Year's Eve? 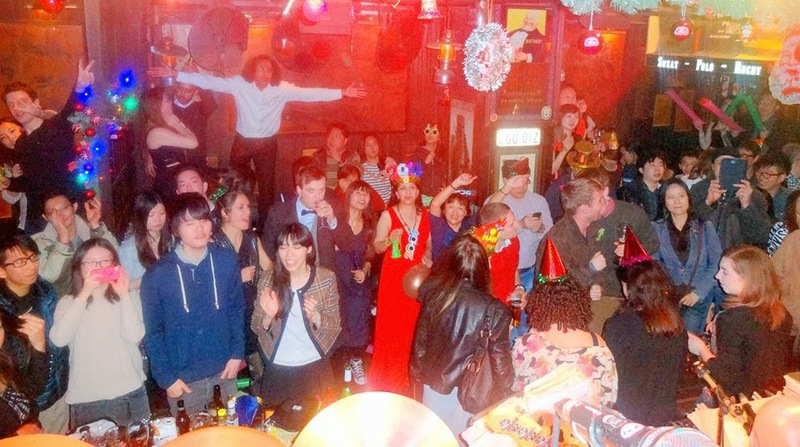 Well here are a couple of photo's to show you, they say it is one of the best New Years Eve live gigs in Hong Kong. PS. If in Hong Kong tonight, please remember our Italian Jazz Night at 10-30pm. For those living in the Leeds area Seven Jazz have an impressive program lined up starting with a Jam Session this Sunday January 5. Thanks to Steve Crocker for the info. The clarinettist Bobby Gordon has sadly passed away. One of the later breed of musicians keeping classic jazz/swing alive his playing enlivened sessions by Becky Kilgore and others. Michael Steinman has posted an emotive obituary on his Jazz Lives site. Bobby Gordon died on New Year's Eve. 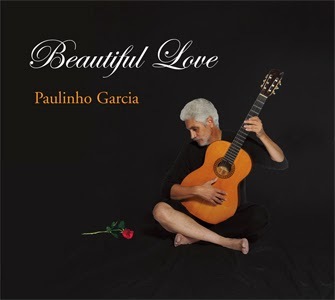 Paulinho Garcia (acoustic guitar and vocals). I’d describe this as a romantic easy-listening CD rather than jazz, one for us ladies to play during a candle-lit evening spent with someone we love, and I’m not talking about your dad or your brother! Fifteen tracks of mostly jazz standards accompanied by skilful but understated guitar, a few tracks sung in Portuguese and Spanish and also a self-penned song Do You Remember Me? The whole performance is infused with a ‘latin’ feel, tango and bossa nova, from the opening song by Jobin Eu Sei Que Vou Te Amar right through to the last (folk) song, Casinha Pequenina. Doors 5.30pm Live Music from about 6.00pm. 23: ‘Big Band night’: Alan Owen’s Big Band £4/2. Thanks Shaune - Looks good. Lance. Most Read Posts in December. 6. Marilyn Crispell & Raymond MacDonald @ Newcastle Uni. These are the ten most read posts of the ninety posted in December. Click on them to read again.